Good News! Rosetta (2013) Seen on Wednesday, November 27, 2013! 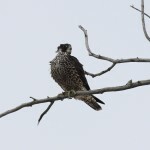 We received word today that one of our young females hatched this year has been seen up in Canada at Long Point, Ontario. Many thanks to our friend Patty Gale from Canada who posted on Face Book about an immature Peregrine Falcon being seen with band #’s Green 96 over Black BA. 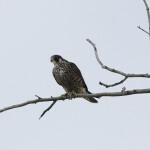 Rochester Falcon Watchers Margaret Kurtz (MAK) and Joyce Miller were able to immediately identify this young Falcon as our very own Rosetta! We here at Rfalconcam would like to thank Mike Burrell for spotting Rosetta at Long Point, Ontario, Canada and for allowing us to share his beautiful pictures. Rosetta looks great and seems to be doing well since leaving Rochester. Happy Thanksgiving from all of us here at Rfalconcam! 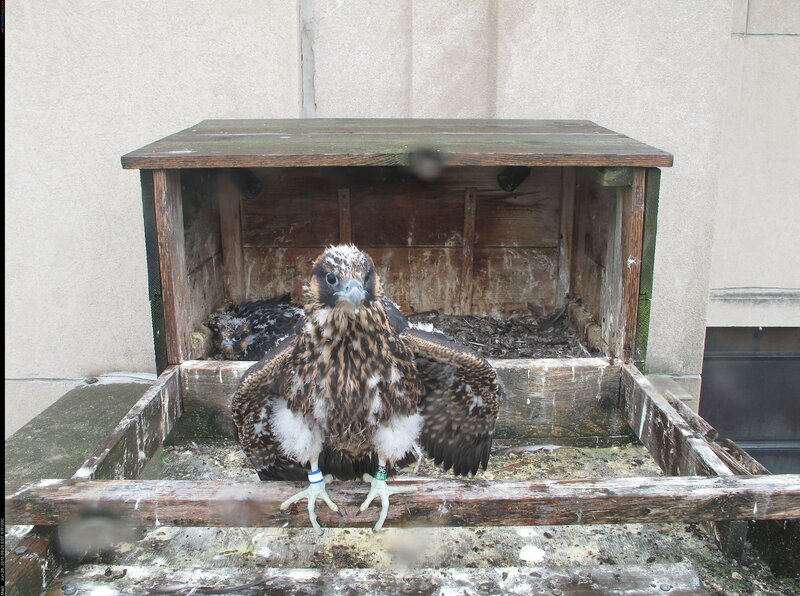 The 2014 Rfalconcam Calendars are now available! 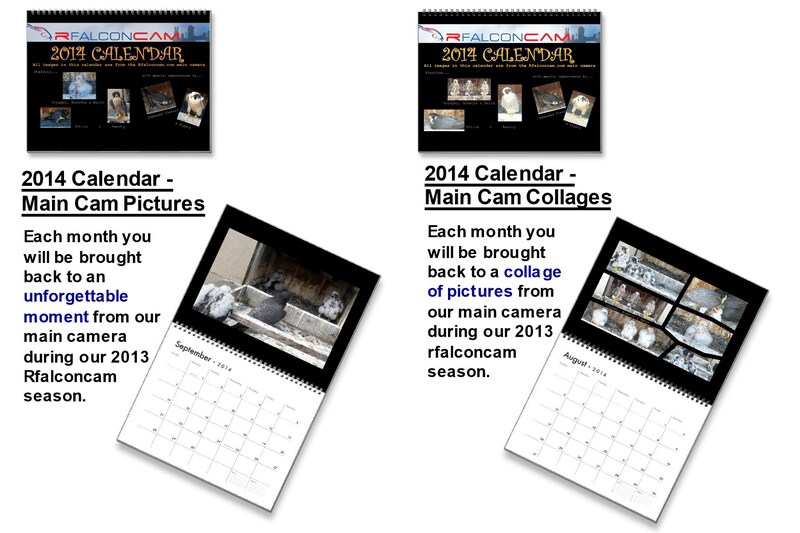 The Merchandise Team, with a lot of help from some friends, has completed the 2014 Rfalconcam Calendars. There are two versions this year; one with full page main camera shots and one made up of main camera collages. What a great way to relive the 2013 Rochester Falcons season with pictures of Beauty, Dot.ca, Pigott (yes, Pigott visited the nest box early in the year), Rosetta, Voyager and Baron and to support the Rfalconcam cameras! — Be sure to click on this picture to see the full version. 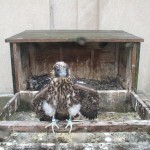 Both Calendars should be showing up in our Holiday & Calendars Category on Zazzle very shortly. 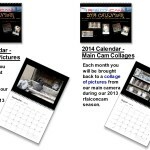 Here are the two links to the new calendars on our Zazzle page. Link For the Main Camera Full page picture calendar. You are currently browsing the Imprints blog archives for November, 2013.